Home » SecretBenefits.com: The secret is out and these benefits are hot! SecretBenefits.com Review: Everything you could ever want in a sugar dating website. SecretBenefits.com surely made sugar dating out to be just like regular dating – only better. But is this sugar dating site everything that it claims to be? In my search for the best sugar daddy sites and after reading through numerous website reviews, I’ve seen a lot of websites masquerading as sugar dating sites, while they are just another generic dating site using sugar dating terminology. However, I’m pleased to say, SecretBenefits has exactly lived up to its word from what it says it is, and you can tell it is a legit site for mutually beneficial arrangements from the first page you visit. It asks straight off if whether you’re a Sugar Baby or Sugar Daddy with no options for just friendship, sleazy hook ups, or casual dates. As I explored this sugar dating site, I came to a realization that they really do care about their page quality by providing easy but highly accurate verification options, so that one can know if a profile is truly real and active. I must say I was so pleased by the experiences I had with this site that I’m okay with giving it a 5 Star rating for it being an absolutely perfect site for assisting me in finding the perfect Sugar Daddy. As I learned from testimonies on Reddit and a number of other dedicated sugar daddy reviews sites, it has plenty to offer for sugar daddies as well as sugar babies. Signing up this site is a 100% free for Sugar Babies and very quick and easy to get through. All a Sugar Baby needs to sign up is a valid email address and to provide their basic information including a username, their hair color, body type, height, and ethnicity. One thing which quickly jumped out and seemed extra good for me just before I opted to join the site, was that the site doesn’t support escorts or prostitution, which is a relief, since that isn’t what I’m looking for in a mutually beneficial relationship with a POT Sugar Daddy. After joining the site I prepared myself for the unavoidable sales pitches for a membership, subscription, or other fees, no matter what it previously said on being 100% free to sign up because I’ve heard that before. Almost all the sugar dating sites make this claim, but all they really mean is that “signing up” is free. With most other sites, using the service is another matter entirely, and the added cost is often enough to make me want to delete my account. This is not the case with this site however. I was surprised to find that SB is 100% free to sign up and to use for Sugar Babies, just as advertised. Once you have filled in all the needed basic information, you’re immediately sent straight to the main site, but you may fill in some other options such as, piercings, your eye color, education, tattoos, relationship status, and smoking/drinking preferences. I was glad they had the piercings and tattoos options, since I’ve a bit of a soft spot for a bad boy with tasteful piercings and ink, but I know not everyone is, so if that’s not your cup of tea, you can filter those out. In addition to having normal pictures on your profile page, a Sugar Baby may choose to have secret photos, too, that only those you specifically choose can see. Naturally, these are meant just for your favorite POT Sugar Daddies and access may be immediately revoked if your charming Sugar Daddy turns out to be less charming on further acquaintance. Any Sugar Baby may browse this site freely without a photo since it’s not a requirement, but, of course, if you’re serious about finding a Sugar Daddy, you’ll need to post photos. A Sugar Baby that wants to boost their profile by becoming verified will need to providing a very specific photo and/or a video. This is the first time I’ve ever seen the option of creating an introduction video on a sugar dating site that requires you date the video to ensure it’s current. There are 2 ways to do this and doing both makes you to be completely verified. One way of doing this is taking a selfie while holding a paper with your username, the word “Secret” and today’s date; your selfie needs to include your face and/or an outfit that has featured in any other photo on your profile. The 2nd verification option is doing a video. To do this verification, you need to take a video of yourself saying, “Let me be your secret,” and that’s all that is required, but you’re allowed to include other information, as well. A clever Sugar Baby may go on to add a few other things about herself making the video more useful. This site doesn’t offer a mobile app, but the excellent search feature makes finding partners remarkably easy, even on a mobile device. Conducting a search for a Sugar Daddy on this site is simple and straightforward and may be filtered for photos, distance, height, age, ethnicity, body type, and hair color. Search results for available POT Sugar Daddies is arranged by recently active by default, so that one can see who’s active first. Other sort options are by distance and newest. I was pleasantly surprised to see that the site’s Sugar Daddies are numerous, I got hundreds of results in my area of many different types and all ages. Sugar daddies will need to have credits in their accounts in order to contact sugar babies. The cost is pretty negligible and it is even cheaper when credits are purchased in bulk. Although it would have been nice to have the chance to earn free credits, the low cost of credits should be more than acceptable for most sugar daddies. Since this site has got verified profiles, I had very few experiences when a POT Sugar Daddy I got interested in didn’t respond to emails. Not having to sort through scammers, bots, or fake profiles is priceless. It reduced my search time, and I got a POT match within a few weeks. In addition to providing a way for users to explore the sugar dating world, this site has got its own blog which helps both Sugar Daddies and Sugar Babies to know what to expect from a mutually beneficial dating arrangement. It’s clear that this site performs what it advertises and strives to be a safe haven for young beautiful women who want to find wealthy older Sugar Daddies to treat them right. I couldn’t be happier with the luck of landing on SecretBenefits.com! It’s an easy to use, forthright sugar dating website, which goes out of its way when it comes to providing a safe environment for young Sugar Babies who are looking to date rich older Sugar Daddies. It’s a big relief to be in an online platform that one can be open about on expectations and desires and not be called a whore or a gold digger or other nasty names people who just don’t understand refer to us as. Whether you’ve been in the sugar dating world for a while or are just starting, giving it a shot is surely the best way to get started in the Sugar Daddy Zone. I have to admit I was pretty skeptical about the entire sugar dating experience until I tried out Secret Benefits. I’d heard plenty of horror stories about sugar babies being victimized by predatory sugar daddies and taken advantage of in some way, and I was a bit hesitant to sign up for an account. I sure am glad I pushed through despite my misgivings, as the site has changed my life in a major way. Almost as soon as I signed up, I was messaged by a handful of prospects, each of whom seemed to be very nice. After I got to know a few of them better, I set up a face-to-face encounter and I was soon a full-fledged sugar baby! I realize that not every woman will be as fortunate as I was. To those thinking of checking out Secret Benefits, I can only suggest you give it a try. It’s one of the safest and most reputable sites out there, and you might just meet the sugar daddy you’ve been searching for. Let’s just get this out of the way right off the bat: If you are looking for a sugar dating website that offers you the chance to meet with plenty of available and generous sugar daddies, Secret Benefits is the place for you! Don’t even bother with the other sugar dating websites if you want to avoid flakes, creeps, and ‘tire kickers’. Take it from me–I’ve made the rounds of the online sugar dating scene, and I’ve seen it all. After being stalked by someone who I thought was a gentleman sugar daddy, I had just about had enough. Thankfully, I gave sugar dating one last try, and Secret Benefits was the one that turned it around for me. The site may not have the biggest and most extensive listings around, but the quality is what swayed me more than the quantity. Most of the men I’ve connected with here are genuinely interested in having a sugar baby, and my experience is proof of that! 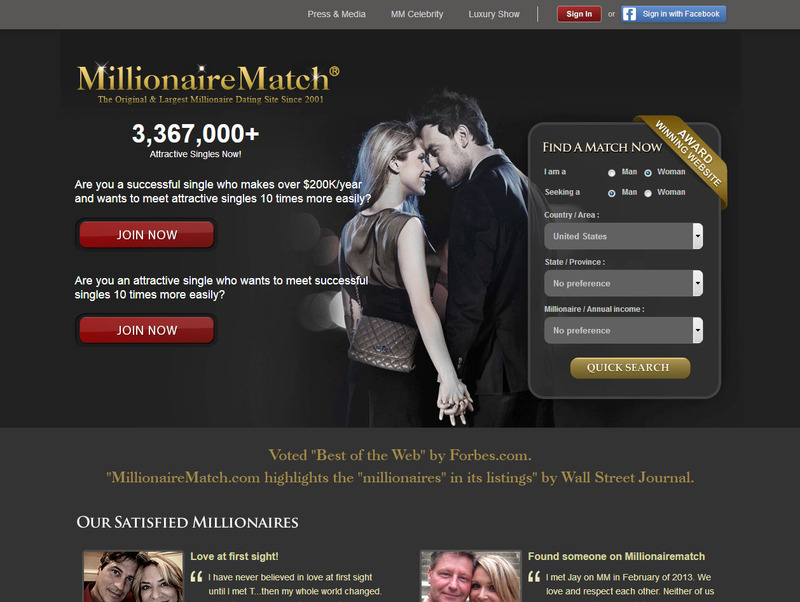 Even the biggest and glitziest sugar dating sites don’t have anything on Secret Benefits! I’ve seen more than my share of sugar dating services over the years, and have spent a pile of cash on many of them without having anywhere close to the same experience as I’ve had in three weeks at Secret Benefits! Right from the minute I signed up, I knew I was in for a treat as I took a gander at all the sugar babies living right in my city! These were some of the most beautiful women I had ever seen, and I almost couldn’t believe that they were sugar babies! Of course, the proof is in the pudding, and being familiar with the sugar dating world, I knew that fake accounts abound. So it was with a bit of skepticism that I sent out a few ‘feeler’ messages. As it turns out I needn’t have worried, as I got quite a few legitimate replies the very next day! Secret Benefits is tops in my book! I was a bit skeptical when I read the claim that Secret Benefits had over a million members. “Half of those are probably bots and fake accounts,” I thought to myself. But lo and behold, after only three days at the site, my impression took a 180 degree turn. It isn’t just that Secret Benefits has a good population of sugar daddies. It certainly does, and I’m now convinced that the ‘million’ estimate isn’t far off the mark. But the really cool thing about the service is that a lot of the men are eligible and worthwhile sugar daddies that any woman would be happy to hook up with. I’ve been to way too many shoddy and questionable sites populated by sleazy men of all shapes and sizes, and I know creeps when I see them. This isn’t the case with Secret Benefits at all, and I’m totally confident that I will find the sugar daddy I am looking for right here!